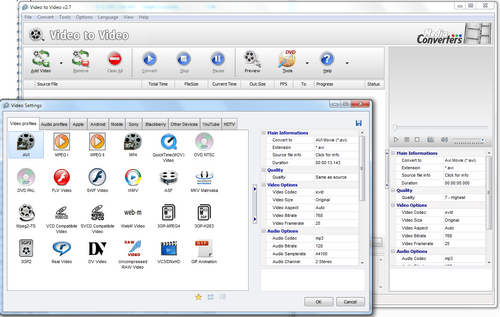 The most easily used Video Converter tools. You can convert video files among VCD SVCD DVD MPEG AVI DivX ASF DAT SWF FLV 3GP RM MP3 MP4 MOV etc just by several clicks. You can setup output video width, height and framerate.